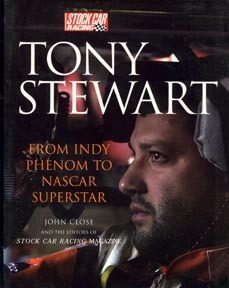 The career of racing superstar Tony Stweart is recounted with articles from Circle Track and Stock Car Racing magazines. It covers his open-wheel roots to his rise to NASCAR champion. Great photos by top photographers. Size: 8 1/4"x 10 3/4"